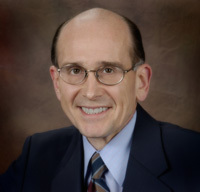 Benjamin L. Costello is a 1974 graduate of the Pettit College of Law, Ohio Northern University. His primary areas of practice are workers compensation and estates. He directs the firm’s educational programming, which includes arranging seminars, workshops and other presentations. Mr. Costello is a frequent guest speaker and has delivered over 120 presentations in the area of workers compensation. Mr. Costello has lectured to many groups, including the American College of Occupational Medicine, the Pennsylvania Bureau of Workers’ Compensation, the Pennsylvania Bar Institute, the Pennsylvania State Education Association and the Joint Council of Teamsters #40, to name a few. In addition to his law practice, Mr. Costello is active in the fields of numismatics and art. He is a member of the American Numismatic Association, the Archeological Conservancy and the Western Pennsylvania Conservancy. He is also a member of the Washington County Historical Society. In 2004 he helped to establish the “Wake Up Your Dreams” project in Washington County. The proceeds from this charitable event benefit CASA, Court Appointed Special Advocates for Children. He is a member of the Allegheny County Bar Association, the Washington County Bar Association and the Pennsylvania Bar Association. The publication Best Lawyers in America lists him as a recognized Workers Compensation litigator. Mr. Costello has also achieved an AV Preeminent rating of 5.0 out of 5.0 through the Martindale-Hubbell Peer Review. An AV Preeminent rating is a testament to the fact that Mr. Costello’s peers rank him at the highest level of professional excellence. The ratings are an objective indicator of a lawyer’s high ethical standards and professional ability, generated from evaluations of the lawyer by other members of the bar and the judiciary.